Founded in 1991, the Buchanan Educational Center Instrumental Music Program serves the students of Buchanan High School and Alta Sierra Intermediate in Clovis, California. John is currently Director of Instrumental Music at Buchanan High School and Director of Orchestras at Buchanan High School and Alta Sierra Intermediate School in Clovis, California. His responsibilities include directing the Marching Band, Wind Symphony, four Buchanan and Alta Sierra string orchestras, and the symphony orchestra. He is also the program coordinator and drill designer for the Buchanan High School Marching Band. Prior to his current position, John was the Director of Instrumental Music at Clovis West High School from 2007 to 2017 where he directed the Wind Symphony, Marching Band, and Orchestra and oversaw all other aspects of the instrumental music program. Under his direction, the Wind Symphony was invited to perform at the Music for All National Concert Band Festival in 2010 and toured the Pacific Northwest in 2009 and 2014. During his tenure, the Clovis West Marching Band was a 16-time Bands of America Regional Finalist, 11-time Class AAA Champion, 2-Time Regional Champion, and a 2016 Grand National Semifinalist. The ensembles at Clovis West consistently achieved superior ratings at festival. In early 2014, John was selected as a Clovis Unified School District Crystal Award Winner recognizing exceptional district employees. He was one of only 36 winners selected from close to 5,000 employees. Clovis West High School recognized John as Visual and Performing Arts Teacher of the Year for the 2012-2013 school year and John became a member of the Conn-Selmer VIP Program in January 2016. John has also been very involved in the drum & bugle corps activity. He marched with the Seattle Cascades in 1996, then the Crossmen in 1997 and 1998, receiving the member of the year award for the corps that season. He spent his final year of drum corps with the Blue Devils from Concord, California winning the 1999 Drum Corps International World Championship. In 2000 & 2001, John was the Visual Caption Head of the Seattle Cascades Drum & Bugle Corps. He was the Brass Caption Head of the Spokane Thunder Drum & Bugle Corps in 2004 and the Seattle Cascades Drum & Bugle Corps in 2005 & 2006. 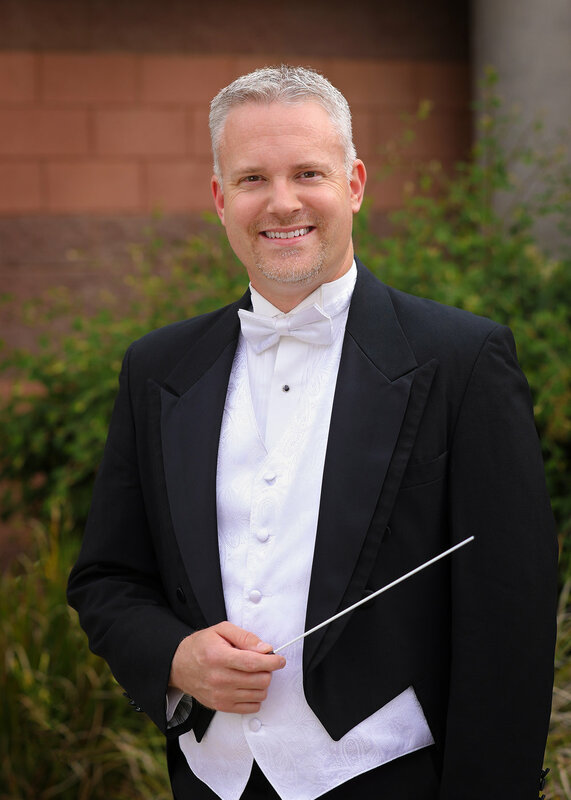 John graduated from Whitworth University with a Bachelor of Arts in Music Education and completed his Master’s Degree in Conducting from American Band College of Southern Oregon University in 2005. He currently resides in Fresno with his wife Nicole, an elementary school teacher in Clovis Unified. Joseph Avery is a band director, percussion educator, composer/designer, judge, and drill writer out of the Central Valley California area, specializing in battery technique and percussion performance. He spent 11 years bring Clovis High School into the World Class, and is currently the Associate Director of Bands and Director of Percussion for the Buchanan Educational Center, which encompasses Buchanan High School, Alta Sierra Intermediate, and it's seven feeder elementary schools (Clovis, Ca.). Joseph is also the percussion caption head and arranger for Fresno State University's Bulldog Marching Band. In 2016, he founded Red Wave Indoor, a WGI Independent Open percussion ensemble that runs through Fresno State. He is their current director, arranger, and drill writer. Joseph proudly endorses Zildian cymbals, Innovative Percussion sticks and mallets, and Remo Drumheads. Barb Shinaver is a trombonist native to the Fresno area. She is now the Director of Jazz Bands at the Buchanan Educational Center in Clovis, CA and the Festival Director for the San Joaquin Valley Jazz Festival (sjvjazz.org). Barb was previously the Jazz Director at Bullard High School and an elementary music teacher in Fresno Unified. She holds a B.A. in Music Education from Fresno State and an M.M. in Trombone Performance from the University of Montana in Missoula, Montana. 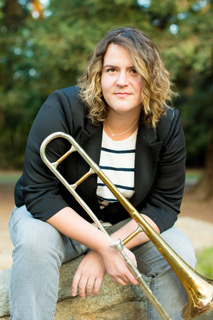 She is passionate about jazz education and is involved with the California Alliance for Jazz and the California Band Director’s Association to serve the California All-State Music Educator’s Conference to promote jazz statewide. Barb is excited to continue pursuing her career in both classical and jazz performance while maintaining an active teaching schedule.